I love a Hollywood home with a little Hollywood history. 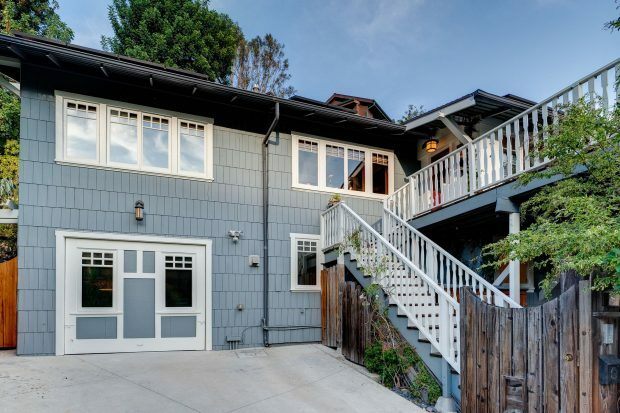 This craftsman bungalow located in the Hollywood Heights neighborhood of the Hollywood Hills was once owned by Jean Acker. Acker was an actress and the wife of the legendary actor Rudolph Valentino. Old Hollywood lore has it that on their wedding night Jean locked herself in their hotel suite, refusing to allow Valentino to enter. Their marriage was never consummated, although the two remained friends. Jean lived alone at 1954 Pinehurst while they were married, with Valentino as a frequent visitor. Of course, it is rumored their union was only a “lavender marriage,” a facade in vogue at that time.